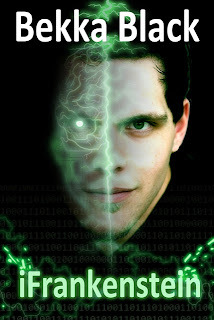 Homeschooled teenager Victor Frankenstein is determined to write his own ticket to independence: a chatbot to win the prestigious Turing prize and admission to the high tech university of his choice. He codes his creation with a self-extending version of his own online personality and unleashes it upon the internet. But soon he begins to suspect his virtual clone may have developed its own goals, and they are not aligned with Victor’s. The creature has its own plan, fed by a growing desire to win darker and more precious prizes: unfettered power and release from loneliness. As the creature’s power and sentience grows and its increasingly terrible deeds bleed over from the online world into the real one, Victor must stop his creation before his friends and humanity pay the ultimate price. Using only text messages, web browsers, tweets, and emails, Bekka Black tells an awesome story. The "monster" isn't pieced together from recycled (read "stolen") body parts, but from "recycled" awareness and conversations. While the world is clamoring for artificial "intelligence" that evolves it's own thought processes, I think we all fear that the computer is going to go a little "HAL9000" on us. Black's monster is creepy, super creepy, and not too far removed from what is currently possible with technology. It helps if you have even a little prior knowledge about the original story line, so that you grasp the monster concept and catch how masterfully he's been brought into the 21st century. I have secretly been glad that I haven't found a re-mastered Frankenstein that does Mary Shelley's justice. That being said, I think Black appropriately brings Shelley's idea to modern life very well. I could easily see comparing the 2 pieces in order to demonstrate that literature themes are timeless. And Black's done a nice job of mirroring the horror/sci-fi mix from Shelley's novel. It's a highly unconventional mode (format?) for storytelling, but it's what our YAs know. And while I was a little afraid it would be choppy and difficult to follow, it wasn't at all. Highly readable, and frankly--these are brainy kids who don't use text-speak, so that helps. They text the way us English majors do, with correct spellings and punctuation. I realize the HAL9000 reference is one my younger readers may not get---come talk to me, it's time you met Arthur C. Clarke. Disclosure of Material Connection: I received this book as an ARC from JKSCommunications in connection with their hosted blog tour. I was not required to write a positive review. The opinions I have expressed are my own. Tomorrow, I'll be reviewing a new monster book..iFrankenstein, by Bekka Black. As a teaser, Bekka graciously agreed to share her favorite monster stories with you...enjoy! Happy Halloween! It’s past time to toddle off to the library or the video store,or virtually toddle with your Kindle and Netflix, and collect those stories that will keep you awake Halloween night and long after. To help you in your quest, here are my top 10 favorite monster books and movies. 1. Frankenstein by Mary Shelley. This one has been my obsession for the past year while I worked on iFrankenstein. What do you do when you create a monster? I think that’s something every writer worries about, even if it’s just a book that might go off the rails and smash its way into the world. 2. Dracula by Bram Stoker. This was my obsession while I was working on iDrakula. How do you deal with an ancient evil in modern times? Are we any more able to deal with being prey now than we ever were? 3. We Have Always Lived in the Castle by Shirley Jackson. A beautiful tale, chillingly told. From the moment Merricat starts to tell the story of her murdered family, you can’t look away. 4. The Shining by Stephen King. I read this tale of a haunted hotel and a writer father who slowly goes mad while I was working cleaning motel rooms in a remote, wooded Alaskan town. I didn’t sleep the entire summer. Terrifying images. 5. The Vampire Lestat by Anne Rice. She finds the beautiful conscience inside the monstrous vampire. Lestat knows what he does, but it doesn’t change who he is or the terrible acts that he is driven to perform. Lush, wonderful writing too. 6. Silence of the Lambs by Thomas Harris. I was scared when I read it, but the movie was even scarier because I lived in Pittsburgh at the time, and some of the scariest scenes were filmed there. There’s no getting out of the city without going through a tunnel, usually the tunnel where Hannibal “The Cannibal” Lecter escapes. 7. Helter Skelter by Vincent Bugliosi. The fact that it’s true made this one a terrifying read. Realizing what real horror can break into an everyday world enthralled me and scared me in equal measure. 8. Lovely Bones by Alice Seybold. 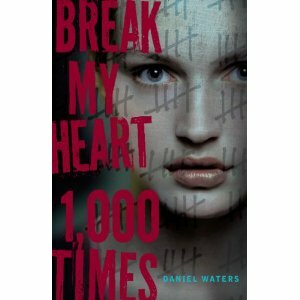 The teenager girl whose life is stolen from her and the lyrical writing both frightened me and broke my heart. I read the book almost in one sitting; I still have not worked up the courage to see the film. 9. Dr. Jekyll and Mr Hyde by Robert Louis Stevenson. The idea that we all have a monster inside of us, and it only takes a moment to set it free scared me as a teenager. What does your monster look like? 10. The Heart of Darkness by Joseph Conrad. Great writing and a bleak time and place in history left this one sitting in my brain long after I closed the book. After a childhood often spent without electricy and running water, Bekka escaped the beautiful wilderness of Talkeetna, Alaska for indoor plumbing and 24/7 electricity in Berlin, Germany. Used to the cushy lifestyle, she discovered the Internet in college and has been wasting time on it ever since (when not frittering away her time on her iPhone). Somehow, she manages to write novels, including the award-winning Hannah Vogel mystery series set, in all places, 1930s Berlin, and The Blood Gospel series (with James Rollins). She lives in Berlin with her husband, son, two cats, and too many geckoes to count. iDrakula is her first cell phone novel. 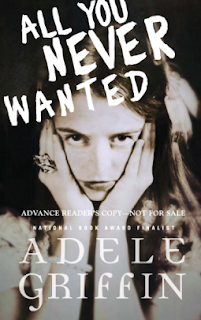 At sixteen, Molly is a girl who's just started living-at last she's popular. But for a girl who has everything, Molly feels like she never has enough. So she steals. At least there's plenty of time to fix this last little problem. Except Fate has other plans for Molly. Like death. Suddenly dead and in denial, how can Molly move on when life was just looking up? Can she abandon her earthly ties or will she jeopardize her soul to stay close to her loved ones? Odd little story. And really, it's predictable. Molly suddenly dies at 16 (though the how of that was a little bit of a surprise), just when her life seems to be looking up and looking good. She's got the hottest guy interested in her, but she's also starting to realize that the "IT" guy isn't necessarily the one you want. So when she suddenly dies and doesn't exactly take it well, well...you can imagine. She begs, pleads, bargains. And then accepts that nothing will change that particular fact, but she could change where her soul exists for eternity, couldn't she? See? Predictable. While I can't immediately recall a name, I know I've read this story/seen this movie before. I knew going in what the gist would be, but really hoped that the "kleptomaniac" aspect would be better utilized and make the story...different. But frankly, the scenes after Molly dies in which it's addressed feel almost like they were added because "oh yeah, that title thing" or, the title was based on a secondary issue, not the primary one. Overall, though, it's good quick read. Not too heavy, but not too fluffy. I can think of quite a few students I'd hand this to, who wouldn't agree with my review at all--and that's a good thing. Wow…video clips, powerpoints, a few project/lab guides. LOTS of neat stuff. Timelines, maps, and graphics for events in 300 years of world history. They aren’t “pretty” but they are functional. Free text-in polls. Use this to do quick in class checks for understanding. During inservice last week, we talked about how the STAAR tests require more critical thinking skills from our students than the TAKS tests ever have. 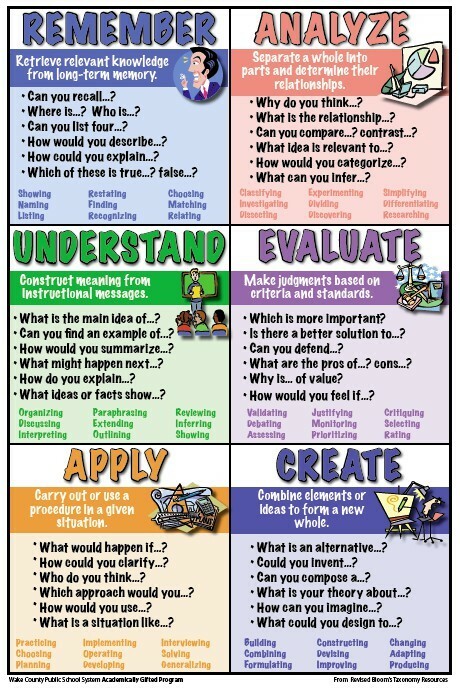 Here’s an easy reference to help you as you structure discussion and lessons. I found this one through one of the interactive map links. Of course, it’s full of incredible images that you expect from NatGeo, but it’s also full of some pretty awesome resources—for history, politics, psychology, and sciences. I’m having too much fun exploring myself! I know I say that a lot, or seem to, but seriously I don't take the time to review a lot of books that aren't "wow." To be honest, I have a hard time making myself even finish books that aren't "wow." Audrey is pure awesome. She's a teenager trying to figure herself who is suddenly thrown into "Guardian" world. She now has family that she never knew existed before (and who live in town! ), and a whole lot more excitement than she ever imagined possible. Oh, the hot sidekick just moved in with them. This is Frenette's debut novel and she's just what my nerdy-geeky-writer-girls want to read. She's into all things geeky and video games (and no, the 2 are not synonymous). Find out some more about her here. Dark Star is packed. It's a supernatural/paranormal story that's...wow. There's action without it being an "action story"---i.e. no gratuitous descriptions of bloody fights, just enough there to keep you interested. There's a lot of teenage cerebral-ness without it being overdoing or pedantic. This is a readable story. Honestly, it's really well done superhero-ish story that doesn't border on comic book. It's better. I sent a tweet to Bethany at 7:00 am the morning I finished this in July. Not my usual m.o. to immediately seek out an author and gush a little, but I have to know if there's more to Audrey's story! I have to. Sixteen-year-old Sadie Rose hasn't said a word in eleven years-ever since the day she was found lying in a snowbank during a howling storm. Like her voice, her memories of her mother and what happened that night were frozen. 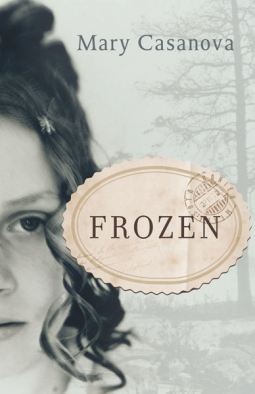 Set during the roaring 1920s in the beautiful, wild area on Rainy Lake where Minnesota meets Canada, Frozen tells the remarkable story of Sadie Rose, whose mother died under strange circumstances the same night that Sadie Rose was found, unable to speak, in a snowbank. Sadie Rose doesn't know her last name and has only fleeting memories of her mother-and the conflicting knowledge that her mother had worked in a brothel. Taken in as a foster child by a corrupt senator, Sadie Rose spends every summer along the shores of Rainy Lake, where her silence is both a prison and a sanctuary. One day, Sadie Rose stumbles on a half dozen faded, scandalous photographs-pictures, she realizes, of her mother. They release a flood of puzzling memories, and these wisps of the past send her at last into the heart of her own life's great mystery: who was her mother, and how did she die? Why did her mother work in a brothel-did she have a choice? What really happened that night when a five-year-old girl was found shivering in a snowbank, her voice and identity abruptly shattered? So very much not what I've been reading and reviewing lately (it's not in the least paranormal or sci-fi! ), but I've absolutely adored Sadie Rose and her story in Frozen. She is the perfect example of a multi-faceted character and exceedingly well-developed character. Starting as shy and timid, a personality largely created by her childhood as a mute (psychologically, not physically), Sadie blossoms into a very strong and independent young woman. I loved how so much of the story took place in Sadie's mind--so much of what moved the story line forward was her own observations and thoughts about what she was hearing, seeing, learning. Frozen left me thinking. The story stuck with me and has continued to be on my mind several days later. Highly recommended for anyone who loves historical fiction, but also for anyone who loves a well-crafted coming of age story. Disclosure of Material Connection: I received this ebook galley from University of Minnesota Press through the netGalley publisher/reader connection program. I was not required to write a positive review. The opinions I have expressed are my own. Elysia's purpose is to serve the inhabitants of Demesne, an island paradise for the wealthiest people on earth. Everything about Demesne is bioengineered for perfection. Even the air induces a strange, euphoric high, which only the island's workers-soulless clones like Elysia-are immune to. At first, Elysia's life is idyllic and pampered. But she soon sees that Demesne's human residents, who should want for nothing, yearn. But for what, exactly? She also comes to realize that beneath the island's flawless exterior, there is an under­current of discontent among Demesne's worker clones. She knows she is soulless and cannot feel and should not care-so why are overpowering sensations cloud­ing Elysia's mind? If anyone discovers that Elysia isn't the unfeeling clone she must pretend to be, she will suffer a fate too terrible to imagine. When her one chance at happi­ness is ripped away with breathtaking cruelty, emotions she's always had but never understood are unleashed. As rage, terror, and desire threaten to overwhelm her, Elysia must find the will to survive. You're going along, really getting involved in a story line, and BOOM...it ends. The book ends. Yeah...this was one of those books. Seriously, major cliff-hanger, worse than the cliffhangers from a TV show season finale. It was bad. I was angry...I was in a room full of students who are taking summer school. Oh, and a co-worker was in the room, too. One who already probably thinks I'm strange. Elysia's life is, as the blurb describes, idyllic. For a clone, she IS rather pampered, and allowed to feel, at least to some extent, like a member of the family that bought her. A family whose children happen to run with the elite on the island. Beta is a really rather unique dystopian/post-apocalyptic story line. You find out a little of what's happened to the earth in the future (water, lots of water, resulting in old "floody cities"), but not much because, really, what's important is the paradise called Demesne (I'd love it if someone gave me the correct pronunciation for that word). This first book not only sets the tone, provides all the necessary backstory for the main characters. I found myself emotionally invested in Elysia and utterly shocked by some of things she experienced. 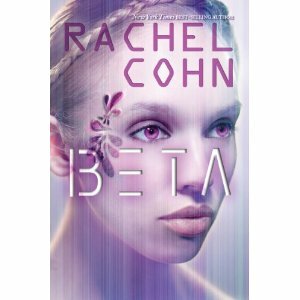 I can say Beta has done what few other first books in a series have--I'm chomping at the bit for the next installment, which will be a while yet since it's currently June as I write this review from a galley and the book doesn't release until October. Perhaps, maybe, someone will tell Rachel Cohn that I'm waiting impatiently for the next 3 books. It’s been over six months since the eruption of the Yellowstone supervolcano. Alex and Darla have been staying with Alex’s relatives, trying to cope with the new reality of the primitive world so vividly portrayed in Ashfall, the first book in this series. It’s also been six months of waiting for Alex’s parents to return from Iowa. Alex and Darla decide they can wait no longer and must retrace their journey into Iowa to find and bring back Alex’s parents to the tenuous safety of Illinois. But the landscape they cross is even more perilous than before, with life-and-death battles for food and power between the remaining communities. When the unthinkable happens, Alex must find new reserves of strength and determination to survive. I read this book just as soon as I finished Ashfall, which I LOVED. In fact, I found this book first and had to go find Ashfall and was insanely happy to have the second book waiting on me so I could pick up where I'd left Alex and Darla. This isn't a "read a little here and there" book. It's a "stay up all night because you can't put it down book." I do believe I had a reading hangover with this one. Mullin beat what I call "middle child syndrome" in a trilogy. For some reason, the second book just isn't as strong as the first and third--but Mullin escaped this syndrome and gave a really strong book for part 2. Alex and Darla grow so much as characters in this book, over and above the sudden jump to adulthood they endured in Ashfall. Inf Ashfall, I really connected Darla, because I felt like a lot of the action was centered around or led by her. But in Ashen Winter, Alex is my guy--he's become a strong male character, protector of the "tribe," so to speak. The two meet new allies and fight against a street gang gone feral (seriously, SPOILER ALERT--there's cannibalism). Then there's Ben...I love Ben. How many dystopia novels have you read that include a major character with Autism Spectrum Disorder? And Ben is so vital to the group's survival, you can't help but cheer him on. I think if you liked the Hunger Games series, you'll dig this one. It's, in some ways, a more savage dystopia than Hunger Games. 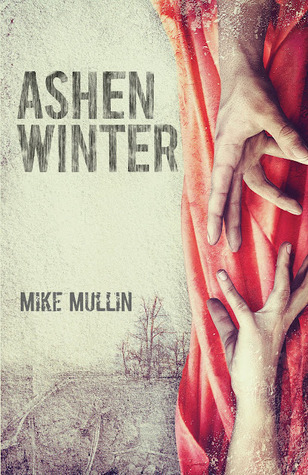 Read my review of Mullin's first book, Ashfall here. Griffin has hit the nail on the head with a gritty and raw story. In another time, this would've been an after school special--only way to scary for mid-afternoon TV. And, more well written. Alex has an ideal life. Idyllic, even. The perfect senior year internship, the perfect boyfriend, and a family who adores her. So what happened? She's not talking. But she never leaves the house anymore. Thea is...well....not Alex. And that's what hurts Thea the most. She'll do anything to be the center of everyone's attention, including Alex's long time boyfriend. Like I said, after school special that's scary, because it deals not only with incredibly tough stuff (eating disorders, pathological lying, severe self-esteem disorders), but it's all rolled into one and is so very very dark. There's a sudden (very sudden) romance with an older guy for the already damaged Alex, that moves just too fast. Griffin has an amazing talent at putting you deep into her characters minds. You get them at a core, and connect quickly. Even her voices for this book--Thea and Alex swap back and forth between the chapters as the narrators--are incredibly telling about the way the characters see themselves. Thea's chapters are all in first person, while Alex's are in third person. This one would be a great YA book club selection. There's so much to discuss and delve in to. If I gave stars, this one would take 5 out of 5. Disclosure of Material Connection: I received this ebook galley from Random House Children's Books/Alfred A. Knopf BFYR through the netGalley publisher/reader connection program. I was not required to write a positive review. The opinions I have expressed are my own. Anna and Bennett were never supposed to meet: she lives in 1995 Chicago and he lives in 2012 San Francisco. But Bennett's unique ability to travel through time and space brings him into Anna's life, and with him, a new world of adventure and possibility. As their relationship deepens, they face the reality that time might knock Bennett back where he belongs, even as a devastating crisis throws everything they believe into question. 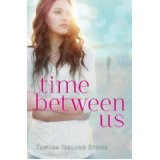 Against a ticking clock, Anna and Bennett are forced to ask themselves how far they can push the bounds of fate-and what consequences they can bear in order to stay together. Okay, I grabbed this ARC because it sounded kind of like The Time Traveler's Wife. And it kind of is. It's a love story. He time travels. It wreaks havoc upon her life. He has "rules" for when and how and what he can do when time traveling. Once it's established in the story why he's suddenly showing up in her life, the story became predictable, to me. Bennet, unlike Henry (The Time Traveler' Wife), has control over his traveling, choosing the where and when which is why he must have rules. There's a crisis ("let's go back and prevent it" "no we can't!"). There's the chance to visit amazing places, because in an interesting twist, he can take her with him, sometimes. Something they'd never imagined possible happens and it tears them apart, across space and time. I wanted this to be good. And I guess if you just want a light, escapist read, it is. It isn't as dramatic and heavy as The Time Traveler's Wife, but it's....sadly.....just another teen romance novel. Overall, I liked Ever. I liked her name (which I won't explain), and I liked the way she thought and was written. It's a little different twist, what with not realizing she loves her best friend, until he's gone....and haunting her. Well, not haunting...more like still hanging out. Toby's a mystery, and his story line did throw me for a slight loop, but I expected the paranormal twist, so not much. Ever is likeable, if immature, even when faced with some fairly grown-up reality issues. 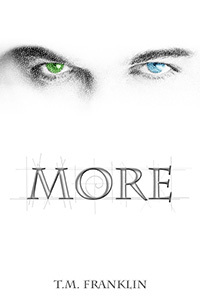 Clearly, this is meant to be a paranormal romance, but I felt like sometimes there was too much emphasis on the romance side, and not enough furthering of the story. And honestly, I couldn't see that Frankie had much purpose in the story....until the first climactic point. Ava Michaels used to think she was special. As a child, she fantasized about having magical powers . . . making things happen. She felt different from others her age, and just knew she was meant for something important. But, like most kids, Ava grew up and eventually accepted the fact that her childish dreams were just that, and maybe a normal life wasn't so bad after all. Now a young college student, Ava begins to wonder if there were more to her childhood fantasies than she thought. She’s haunted by terrifying nightmares of a frightening man chasing her, determined to catch her, to take her—a huge hulk of a man with one blue eye and one green. Even during daylight hours, there are moments her hair stands on end with an uneasy prickle of awareness . . . and she just can’t shake the feeling that she’s being watched. Unable to decide if she’s imagining things or just plain crazy, Ava finds an unlikely ally in Caleb Foster, a brilliant and mysterious man who comes to her rescue as a Physics tutor, but in reality has another mission in mind. What he shows Ava challenges her view of the world, shaking it to its very core. The thing is, Caleb’s not quite what he seems. In fact, he's not entirely human, and he's not the only one. Together, the duo faces a threat from an ancient race bound to protect humans, but only after protecting their own secrets—secrets they fear Ava may expose. Now they’re after her, bent on her capture or maybe even her extinction. 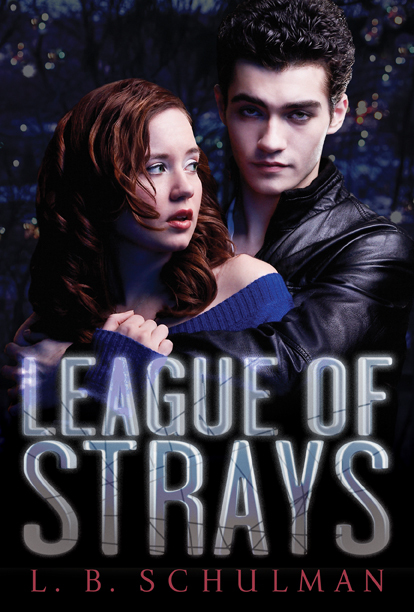 Fighting to survive, Ava has to depend on Caleb to lead her through the strange new world opening up before her. A world of magic and mystery, where she learns she’s not actually normal . . . she's not even just special. SERIOUSLY enjoyed this story. It's not "high fantasy" or even "high paranormal," but it's a little bit of all that, plus some romance and adventure mixed in. Ava is likeable in her nerdy and serious student ways. She's a determined, self-made college student, struggling to make ends meet and pass physics. She's honest and fresh and role model type for how to survive challenges and college without losing your head. It's an easy read, in the sense that you want to read it, not that it's easy. I'd hand it to the average, enjoy reading but not heady stuff reader. Franklin has put together a story that keeps you involved but doesn't wear you out or drag. FYI--Ava is a college freshman, and while the setting and story line do need her to be, you shouldn't shy awy from letting even mid-age YAs read it (by that I mean, it's appropriate for all ages in high school). There's nothing in it that would be questionable or inappropriate for them. When a mysterious note appears in Charlotte's mailbox inviting her to join the League of Strays, she's hopeful it will lead to making friends. What she discovers is a motley crew of loners and an alluring, manipulative ringleader named Kade. Kade convinces the group that they need one another both for friendship and to get back at the classmates and teachers who have betrayed them. But Kade has a bigger agenda. In addition to vandalizing their school and causing fights between other students, Kade's real intention is a dangerous plot that will threaten lives and force Charlotte to choose between her loyalty to the League and her own conscience. Bullying has been a problem in high schools for too many years. And to some extent, anyone isn't anyone (if you know what I mean) has experienced it in one form or another. But what if you could....strike back...as it were? Sometimes the biggest problem isn't the bully himself (or herself). Sometimes the biggest problem is how a person deals with being bullied. Fighting back to protect yourself is one thing. Its altogether another to enact revenge. Revenge can be dangerous. Kade, the ringleader of the League of Strays, is scary. He is that guy who seduces others into doing things that they would never otherwise do. Sure, they might think about getting back at the ones who bullied them, but not this way. In a twisted way, this is a coming of age story hidden in a frightening twist. Be prepared to initiate some great discussion with the readers you hand it to.